Abdul Mohammed is the chief of staff for the African Union High-Level Implementation Panel for Sudan and South Sudan. Alex de Waal is executive director of the World Peace Foundation at Tufts University’s Fletcher School. There is an opportunity to halt South Sudan’s slide into war and state failure, but it must be seized within days or it will be lost. This requires the leaders of South Sudan to rise above narrow, tribalistic, zero-sum politics and develop a national program. President Salva Kiir and other members of the country’s political elite — in government and in opposition, inside South Sudan and in the diaspora — must respond to this challenge now or go down in history as having betrayed their people. 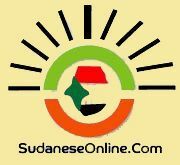 Nine years ago, on Jan. 9, 2005, the Sudanese government and the southern-based Sudan People’s Liberation Movement (SPLM) signed a historic peace accord that brought an end to more than 20 years of war between northern and southern Sudan. That agreement culminated in a referendum, held from Jan. 9 to Jan. 15, 2011, in which the southern Sudanese voted overwhelmingly for independence. Africa and the international community welcomed the new Republic of South Sudan, hopeful that it would put this history of strife and suffering behind it. But the peace agreement and the show of unity around independence masked many unhealed wounds. During those long years of civil war, the South Sudanese weren’t united, and their divisions exploded into a bloody internecine conflict in 1991 after SPLM officers challenged the leadership of Col. John Garang . The strife became a tribal war, mainly between ethnic Dinka and ethnic Nuer , involving massacres of civilians on both sides and mass starvation. The atrocities left deep scars. For the following decade, leaders of churches and civil society and friends from abroad, including U.S. representatives, undertook a painstaking effort at “people-to-people peace” among South Sudanese communities. This task was incomplete when the 2005 north-south peace agreement was signed. Amid the euphoria of that peace and the work of reconstructing a war-ravaged land, President Kiir, who took over after Garang died in a helicopter crash in July 2005 , neglected to continue the necessary work of reconciliation. Instead, the wait for independence and plentiful oil revenues maintained a semblance of unity. It is those unhealed wounds that are tearing South Sudan apart today. Two years after achieving independence, a political dispute between President Kiir and Vice President Riek Machar erupted into the open. Kiir dismissed Machar and most of his cabinet. Two weeks ago, this dispute suddenly mutated from a contest over votes in the ruling bodies of the SPLM into a terrifyingly violent tribal conflict. The speed and vigor of ethnic mobilization not only threatens a widening war but also jeopardizes the very viability of the South Sudanese state. African and international mediators are in a race against time to stem this tide. Once the political dispute descends completely into a fight for communal survival, foreign leverage disappears. Ethiopia and Kenya, acting on behalf of African nations, took key steps at a summit in Nairobi Friday to try to stop further violence. They called for a cease-fire and for the rights of 11 high-level political leaders arrested by the government to be respected. (Two were released on Saturday.) They affirmed the core African principles: no unconstitutional change in government and South Sudan must build a viable state. President Kiir stays, but he must negotiate. Stopping the shooting is the immediate priority. But the mediators should not be content with patching together a ruling coalition and returning to business as usual in advance of scheduled elections in 2015. A power-sharing formula could become just another division of the spoils, and elections could become another exercise in ethnic division. For too long, South Sudan’s leaders evaded their responsibilities by blaming their woes on the war and oppressive policies of the government in Khartoum. Now, having joined the club of nations, they must play by its rules. The United States, having given South Sudan the benefit of many doubts, is threatening to withhold aid if power is seized or held by force. That is quite correct. Any political process must take into account South Sudan’s unique and painful history. The biggest task is an all-inclusive national discussion on what it means to be a nation. The political elites should listen to the wisdom of pastors and civil society leaders, who are insisting that the politicians return to the path of dialogue and healing. The road to a viable state lies in national reconciliation. The elites inherited vast natural wealth and boundless international good will following the historic referendum, but they squandered both. They lapsed into a culture of corruption, conspicuous personal consumption and tribalistic political machinations. They have not been serious about democratization, institution-building or even the most basic service delivery, which they have preferred to outsource to foreign relief agencies. African leaders — backed by the United States and United Nations — have taken key steps toward pressuring South Sudan’s leaders to stop the war. But the deeper responsibility for creating a South Sudanese nation at peace with itself lies with the country’s own leaders.